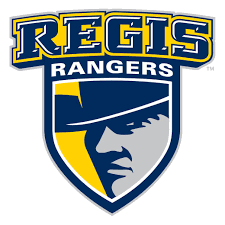 In 2019, we’re excited to continue our valet storage service for students at Regis University. We love the Regis community and the beautiful campus in NW Denver! Dear Parents of Regis University students: let us take the burden of helping your student move out of the dorm or apartment this Spring. Save money on airline flights, hotels, rental trucks, and of course, save your sweat and stress! We’ll deliver free boxes, provide a curbside pickup service, and secure storage for the whole summer term. Then, in the Fall, we’ll deliver all your student’s items right back to campus. It’s student storage made easy! Dear Regis University student: we’re here to make your move-out easy. You need to focus on finals, summer plans, and hanging out with your friends. So, let us worry about your storage needs. We’ll bring you free boxes, pickup your items right at your dorm or apartment, and then deliver them back when you return in the Fall. It’s super easy. All you need to do is pack! We make student storage easy for Regis students! We provide free boxes and drop them off right at your dorm or apartment! 2. We pickup and store. We pickup on/off campus and store in our secure, climate-controlled warehouse. Your items are delivered to you when you get back to campus. Why choose SquirrelBox Student Storage? Transparent pricing. Fantastic customer service. Five-star service: check out our reviews on Google and Yelp. Our friendly, uniformed valets will safely transport your items. 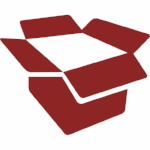 Free boxes: we provide sturdy cardboard boxes for you to use. Plus, we have the popular wardrobe box for bulky items! Student-friendly schedule: we work around exams and campus move-out dates to reduce stress. Save money: you only pay for boxes you actually use! Plus, there’s no need for rental trucks and no hidden fees. 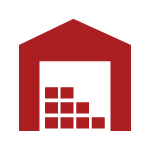 Secure storage: our warehouse is secure and climate controlled. Plus, there is no public access to ensure your items are safe. Free pickup & delivery: we do all the heavy lifting and transport. We come to the curb of each dorm/apartment for pickup! During the sign-up, you can indicate which date/time works best for your schedule. Or, you can schedule custom times for an additional fee. We’ll be handing out the free boxes and tape during the following times. We will contact you via text when we are on the way to your dorm or apartment. We can leave boxes with a friend or roommate as well. We’ll text the student when we are on the way to their dorm or apartment during these time windows. Boxes and items must be brought to the curb unless you are utilizing the valet service. If these dates/times don’t work, you can request a custom pickup for an additional fee. A friend or roommate can also sign at pickup. Every day on May 1, 2, and 3. *You can schedule a custom pickup if these free slots do not accommodate your schedule. There is a $90 fee. If the free pickup/delivery schedule for your university doesn’t work for you, we can arrange a custom time. Simply tell us during sign-up and we can determine the availability of time-windows. Let us handle all the moving! Our valets will move your items to/from your room to our truck so you don’t have to lift a finger. Curbside service is free. Tier 2: $100/hr for moving 11+ items and any furniture that requires 2 people to carry. 1 hour minimum. Allow us to pickup your boxes and ship them home. 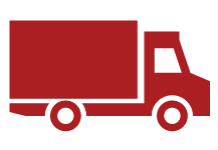 We ship via UPS and offer a variety of shipping options to suit your needs. Family owned. Veteran owned. Locally owned. SquirrelBox is a proud, Veteran-owned small business here in Denver. We’ve really enjoyed serving the Regis community and look forward to many more years of helping students with easy storage solutions. You can learn more about us and our journey here. Have questions? Read our FAQs to find out quick answers. SquirrelBox LLC. A proud Denver, CO company. © 2019, All rights reserved.